Looking to work in a fast paced, creative environment? The Dutch Apple Dinner Theatre might be a perfect fit for you! All employees enjoy the perks of free meals on performance days, free tickets for employee night for each show, and an employee discount for tickets and in the gift shop. 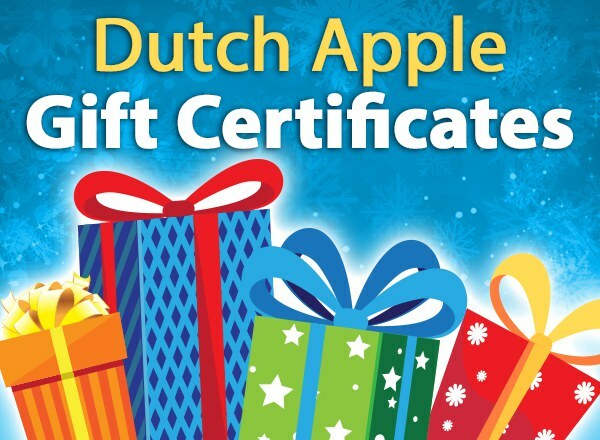 The following positions are currently available at the Dutch Apple. Please apply in person at the theatre (510 Centerville Road, Lancaster, PA 17601). Full time position. Seeking a detailed, organized, motivated, customer service orientated person with phone, communication, managerial and supervisory skills. Background in ticketing software programs, computers, MS Excel and MS Word a plus. Candidate will have 2+ years of experience in a similar working environment. Candidate is responsible for overseeing all aspects of box office operations including staffing, programming, promotions, and ensuring excellent customer service. Position requires a flexible schedule including evenings, weekends and holidays. Medical benefits, vacation, free meals and show tickets. Please view full job description below. Full time position. Sous Chef/Kitchen Supervisor for evenings/weekends. Responsible for oversight of food production and presentation during buffet and a served dinner service and ensure that customer expectations are being met. Supervise the staff in preparation of menu items and manage staff performance. Must be Serve Safe certified, have past supervisor experience and be customer service oriented. Please apply in person at the theatre. Electronic Job Application available on the right hand side menu. Experience is not required, however, it is a huge plus. The perfect candidate will be able to work a variety of shifts including mornings, evenings, and weekend and must be comfortable working in a fast-paced environment. Please apply in person and ask for Gary Fern, Executive Chef. Electronic Job Application available on the right hand side menu. Service staff must be clean, personable, and love to be around people. Busser position requires lifting up to 40 lbs. Server experience required, but willing to train other positions. Flexible schedule is a bonus with the variety of shifts offered. Please apply in person and ask for Michael Allen, Service Manager. Electronic Job Application available on the right hand side menu.